Plagiocephaly is a form of ‘flat head syndrome’ where a baby has an asymmetry of the head shape. Typically, the condition presents itself as one side of the head being flatter than the other. The term ‘plagio’ comes from the Greek meaning of ‘slanting’, or, ‘oblique’. At about eight weeks of age, you may notice that your baby’s head seems slightly wide, that an ear is pushed forward on one side, or that the brow is more prominent on one side. A plagiocephaly specialist can help to correct this condition with various non-invasive techniques. In more severe cases, further symptoms can include ear misalignment, which is where the ear of the flattened side is pushed forwards. The pressure on the flattened side can also push forward the cheek and brow, compressing and shortening one side of the cheek in comparison to the other. Classifying plagiocephaly will provide you with a primary indication of how severe the deformity is. Noticing key indicators in your baby in the earliest stages is vital as the treatment we offer will be much more successful. If you would like to know more about our range of treatments prior to a consultation with a plagiocephaly specialist, visit our plagiocephaly treatment page. This provides you with all of our non-invasive treatments, including ‘tummy time’, a repositioning technique that we usually recommend in babies under four months old, and our plagiocephaly helmets, which are a long-term solution to your baby’s misshapen head. 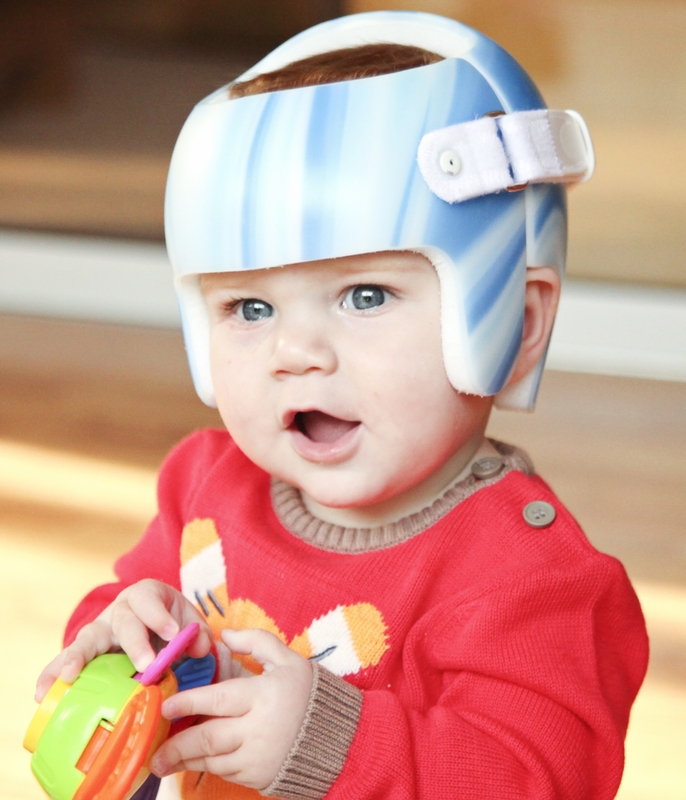 You can book a free consultation with a plagiocephaly specialist at any one of our clinics in the UK. At your consultation, one of our specialists will assess your baby’s head shape. We won’t recommend treatment unless it’s necessary. Plagiocephaly research is vital for both clinician and parent in understanding the full extent of the condition and its effect on baby. To help parents, we have compiled a selection of research papers that are all dedicated to improving the lives of babies with the condition. 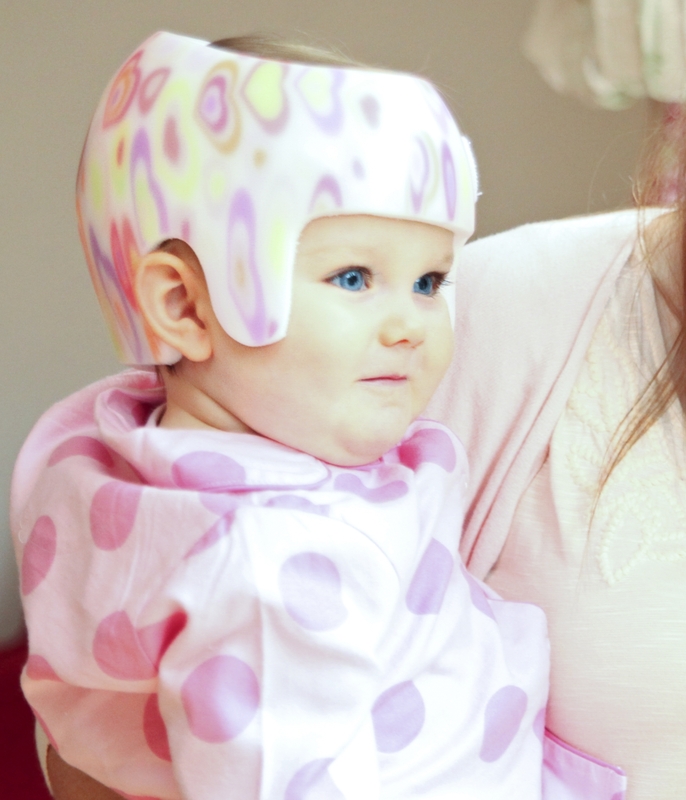 If you would like to read about our success stories, our plagiocephaly case studies are dedicated to the individual journeys of both parents and children who have benefitted from the treatment we offer. Alternatively, join our social community and read about parents’ first-hand experiences on our Facebook page. If you have any questions, we would love to hear from you. Please call us on 0330 100 1800. If you would like to know more about our range of treatments prior to a consultation then visit our plagiocephaly treatment page. This provides you with all our non-invasive treatments including ‘tummy time’, a repositioning technique we usually recommend in babies under four months old and our plagiocephaly helmets which are a long term solution to your baby’s misshapen head. You can book a free consultation at any of our clinics in the UK where one of our specialists will assess your baby’s head shape and we won’t recommend treatment unless it’s necessary. Our repositioning guide looks in more detail at the repositioning techniques we recommend to use in babies under 4 months old. This guide will help you improve your baby’s head shape before having to consider the TimBand. We offer a free, no obligation consultation of your baby’s needs and if we believe your baby requires a TimBand helmet, the total cost will be £2,025. Take a look at our TimBand prices and funding page to see a full breakdown of the total cost with lots of helpful advice to help you pay for your baby’s treatment through sponsorship and community fundraisers. Plagiocephaly research is vital for both clinician and parent in understanding the full extent of the condition and its effect on baby. To help parents, Steve Mottram has compiled a selection of research papers all dedicated to improving the lives of babies with the condition. If you would like to read about our success stories, our plagiocephaly case studies is dedicated to the individual journeys of both parent and child who have benefitted from the treatment we offer. Or join our social community and read about parents’ first-hand experiences on our Facebook page. Need advice? For all your technical questions.